Yo, Friends! 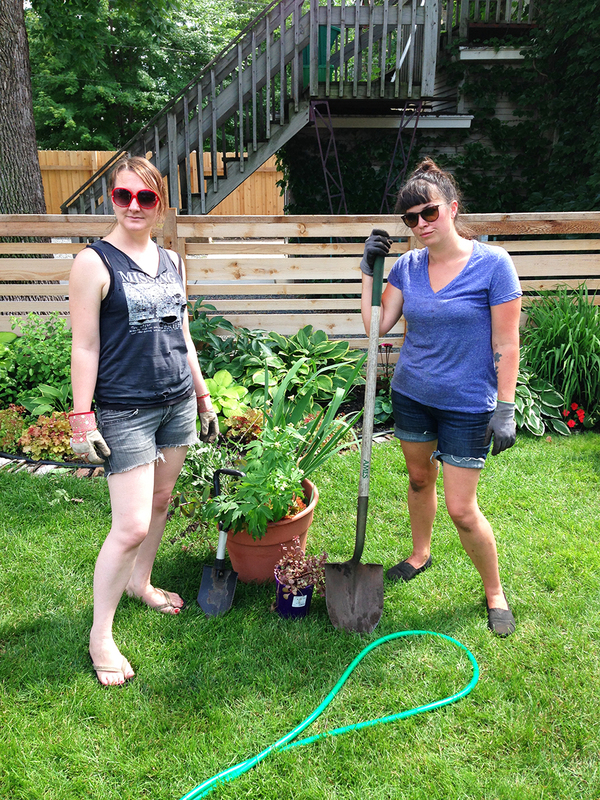 Did you know that you can divide perennials? It actually often helps to keep your perennials healthy and has the added benefit of making new plants! I recently went through my garden and split off a chunk of my perennials for my good pal Nicole (aka Colz). She recently dug up a section of her yard to make a sunny perennial border garden – she needed some plants to help fill it in. I told her to come on over! I had some perennials that were getting big and in need of a good splittin’. I have to tell you that I am not some all knower of everything garden, but I know a bit. I’ve split my perennials quite a few times, to fill in garden beds. Most of my my perennials have been divided from my mom’s garden and in the last few years I have done lots of splitting to help fill in my flower beds. When I divide plants I begin by digging out the clump I want to divide. You don’t want to start right at the base of the plant, dig out from the base a good 8-12″. 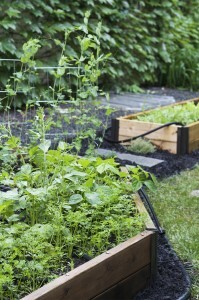 I use my big garden shovel and slowly begin to cut down through the soil and the pry upwards loosening the root system. Continue digging and prying around the circumference of the plant. The method is about 50% digging and 50% actual prying. I broke my shovel last week on an insanely oversized hosta. It takes a bit of muscle depending on the root system of the plant. Before you know it the plant will gently pop out of the ground. 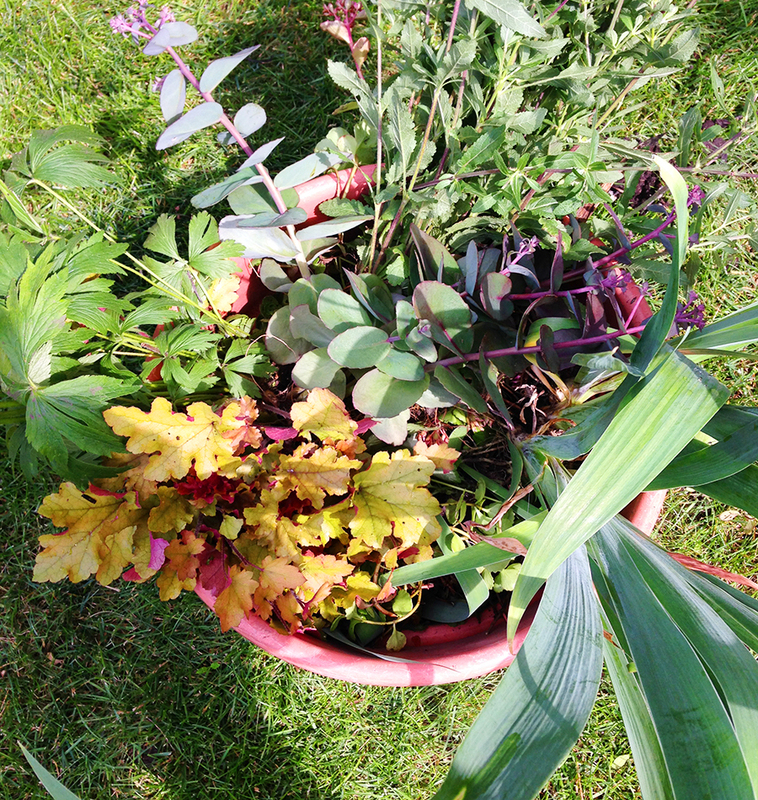 Divide your plants on a cooler gray day to avoid undue stress from the heat and the sun. 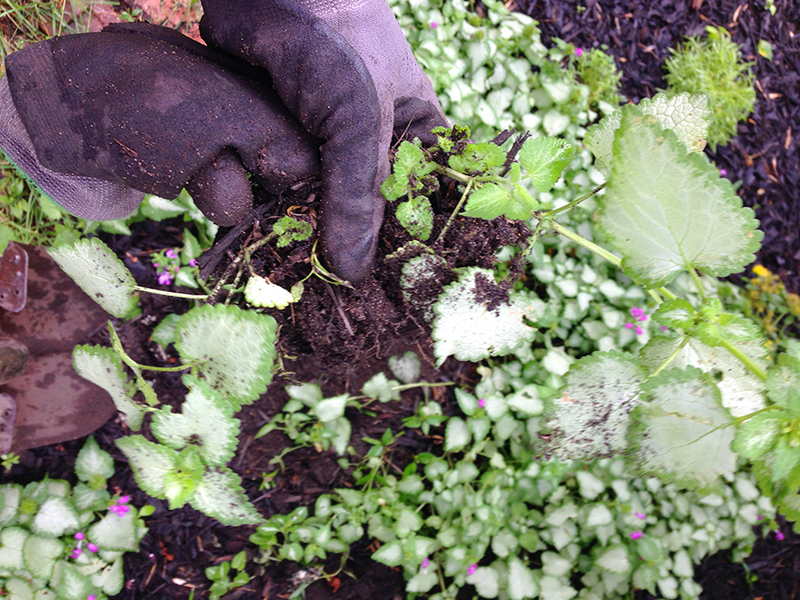 Once you have the clump out of the soil, remove it from the garden. 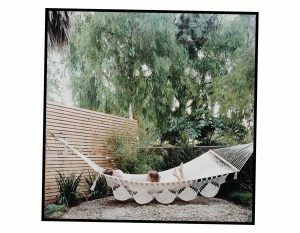 I usually have a small drop cloth that I move around the yard with me just to keep the lawn tidy and whatnot. I set the plant on the drop cloth and begin to divide the plant by looking for naturally grown sections. Check out the photo above. 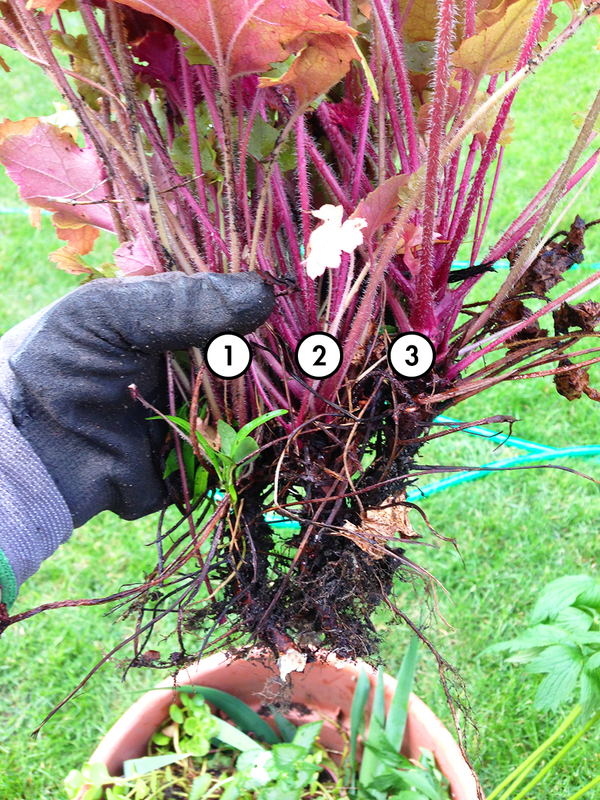 You can see how this heuchera has three naturally occurring sections. All of these can be divided to make new plants. I didn’t literally divide the plant in half either. I took a small section from the back and then divided that. This way I still had a decent sized plant to place back in my garden. Sometimes you’ll run into a stubborn root system, it’s not always easy to separate those bad boys. You really need to put some muscle into it. Like all your muscles, especially when diving hostas. I have a tool that has a sharp edge (it’s like a knife shovel) I use it when I run into really tricky root systems. Prepare your divisions for replanting by putting them in a container and packing them in fresh soil, this is especially important if you aren’t able to get to planting them the same day. Keep them well watered. 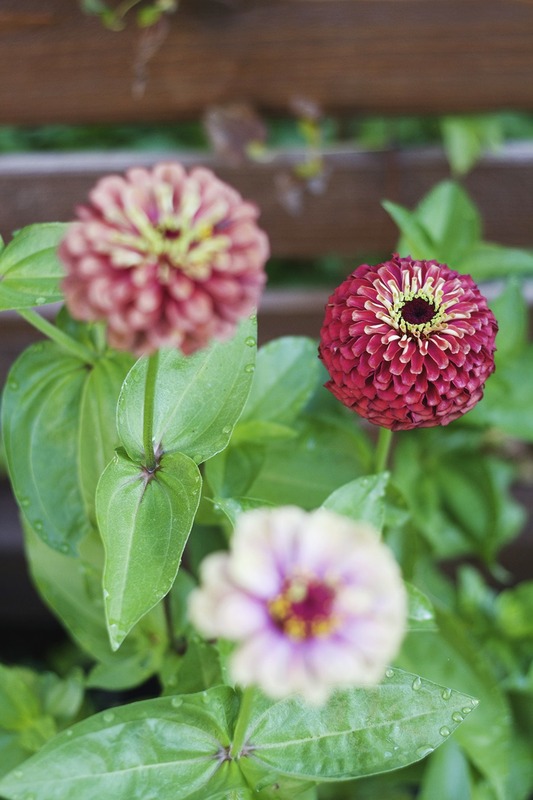 When replanting make sure to amend the soil with compost and plant them to the same depth that they were in before. There are some perennial ground covers like lamium and stonecrop that have very shallow root systems. In this case you don’t need to dig the entire thing out, just pop a chunk out of the ground and replant. Perennials such as peony and iris like to be planted and divided in the fall, but most things can be divided as long as the plant appears to be healthy and strong. Do a bit of research before diving right in. Better Homes and Gardens put a nice list together of how often you can divide certain perennials – you can see it below. Check out this great article for even more tips! Oooh what kind are those pink and yellow heucheras? They’re gorgeous! I’m kind of obsessed with coral bells lately. I have georgia peach, peach flambe, melting fire, and blackout, all of which I’ve added to my garden this year. The blackout ones are especially awesome. i have horrible luck splitting heuchera. I bet I.m not digging out far enough from the plant base. Thanks for the tip. I’ve had bad luck with the heuchera before too, I think it has a lot to do with the size of the plant prior to splitting, and only taking a little bit to start new plants. The new divisions do take a long time to grow big. I split a bunch of them a few years ago and they are finally just getting to full plant size this season. I have a 9ft tall Butterfly bush that was grown from a single stick cut from my mother-in-law’s bush that I simply stuck in potting soil in a pot and waited. Soon it began putting on leaves and greening up. When I felt certain it had roots I planted it in my yard and now (2 summers later) it is huge and beautiful and putting on purple flowers. I never would have believed it possible if I hadn’t done it myself. That is so great, Fran! Your butterfly bush sounds beautiful! Isn’t gardening the best? This is so helpful! We have a bed of hostas that are utterly out of control, so it’s great to know that we can divide and move them instead of having to rip them all out completely. Kerry! 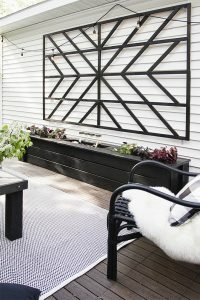 Yeah for sure, divide those hostas up! If you don’t have a place to put the new divisions set them out on your front step with a free sign next to them, they’ll be nabbed up before you know it and your garden will look nice and tidy.